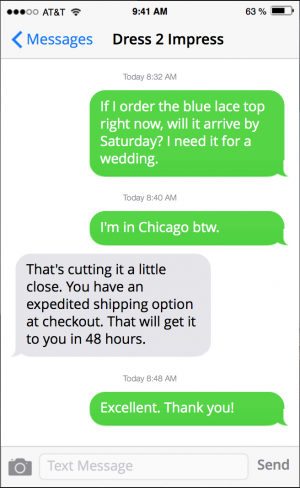 These issues were discovered and solved using our Shopify texting app. Read on for more details. Shopify sellers spend millions of dollars driving traffic to their stores. Most of that money is wasted on traffic that doesn’t complete a purchase. We analyzed 5,000 text messages sent between shoppers had Shopify sellers to find out why this happens and how to prevent it. These are our initial findings. Subject of conversation: product question, checkout error etc. Outcome (where available): purchase, upsell, chargeback prevented, review generated etc. 35.5% of conversations were from customers in the “pre-cart” stage. These are customers that browsed around the store and are interested in a product but have one or two questions before they buy. For example, questions about expedited shipping or product materials. We’ll break down those exact question types in a future post. The common denominator of these questions is that they are usually easy to answer and often lead to a sale. In fact, these questions are often addressed in the FAQ, but shoppers don’t have the patience to look, especially not on mobile. While the questions are easy – the hard part is getting the customer to make the effort to reach out and ask. Shipping question answered, sale made! 15.5% of conversations were from customers who have already added a product to their cart. These are the customers closest to becoming actual revenue. They are stuck at checkout either for an objective reason (e.g. credit card doesn’t go through) or a subjective reason (e.g. shipping fee is above their budget). Either way, you want them to reach out so you can solve the problem and save that sale. Again, most of these are recurring problems and easy to solve – the hard part is getting customers to reach out. This customer reached out via text and the sale was saved! 19 of 20 stores had at least one bug or error texted in by shoppers. These issues were the kind that prevent sales -from buttons that don’t work to incorrect product description. While bugs and errors were a small portion of conversations (3%), every one of them is the cause of multiple missed conversions until fixed. Now you know, what should you do? As this data shows, there are conversion opportunities in this existing traffic. These shoppers left the site without completing a purchase because there’s friction between them and checkout, and not because they weren’t interested in making a purchase. 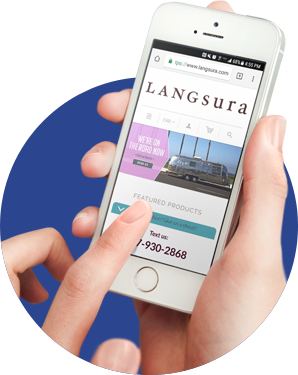 How easy it is for “almost converted” shoppers to reach out to you? What friction can you remove? Remove it now! *Don’t forget to test on both mobile and desktop. Thank you, Adi, for the informative post. Like the idea of text over chat. Will be adding Message Mate to our store. Awesome. Let us know what you think once you do. We love feedback. Richard – I’m curious why you like text over chat? I’d love to hear from Richard too. 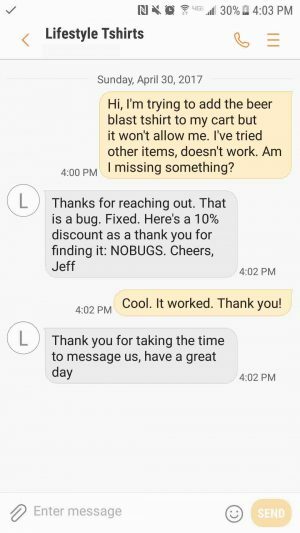 Here’s my two cents (I work for OwnerListens): text is superior to chat on mobile (where most online shopping happens nowadays), the business doesn’t need full time people to respond within seconds – minutes is also totally OK since the customer isn’t sitting staring at a screen until you reply. Plus, texting offers great follow up possibilities.